Hi! I discovered another great cafe! Have you been to Loysel’s Toy? Here’s why I love it: It’s tucked away, surrounded by big trees, it has a very laid-back feel to it. It’s run by people who clearly love to make great coffee (and eggs benedict!) and they serve Papa Pahelta’s coffee, which we love for being eco-friendly! The cafe sits right on a nature trail and they rent out bicycles, so you can make a fun day of it! They even have bicycles with kiddie seats attached, so bring out the whole family! Loysel’s Toy is just a short walk from Lavender MRT – check it out! Three Unique & Eco-friendly Gifts for Mother’s Day! Boost your productivity and focus with this neat little website! 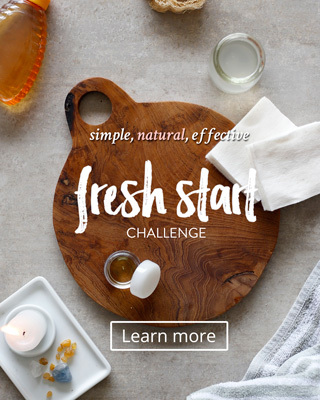 Get a fresh natural skincare recipe in your inbox every Tuesday! It’s official – antibacterial soaps have been kicked to the curb! Herbal Powder Face Mask to soothe skin & mood. I was a busy mom living in a busy city, frustrated by the things I learned about the products I brought into my home. I began to make my own skincare from necessity and it turned into a happy, healthy & green lifestyle. And now I want the same for you too. 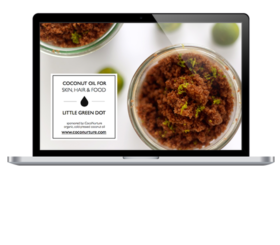 Six awesome recipes to get more coconut oil in your life!